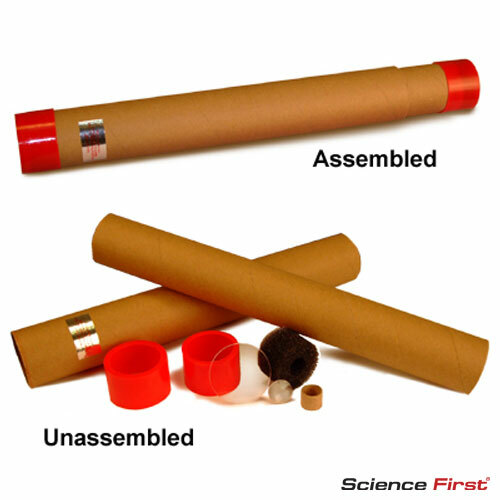 A classic classroom activity, this set of 10 easy-to-construct telescopes is the perfect tool to engage students in the basics of astronomical viewing. 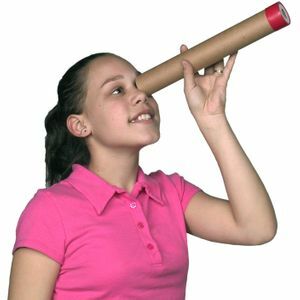 Materials provided include: plastic lenses; 43 mm diameter (objective), 400 mm focal length, and 17.5 mm diameter and 25 mm focal length; foam holders and cardboard spaces for eyepiece lenses; 10 plain cardboard tubes; 1 set of instructions and activities. Set of 10. Middle School and up.